A morning at Ganga in Varanasi is a photographer's delight (One need not be the professional breed here.). 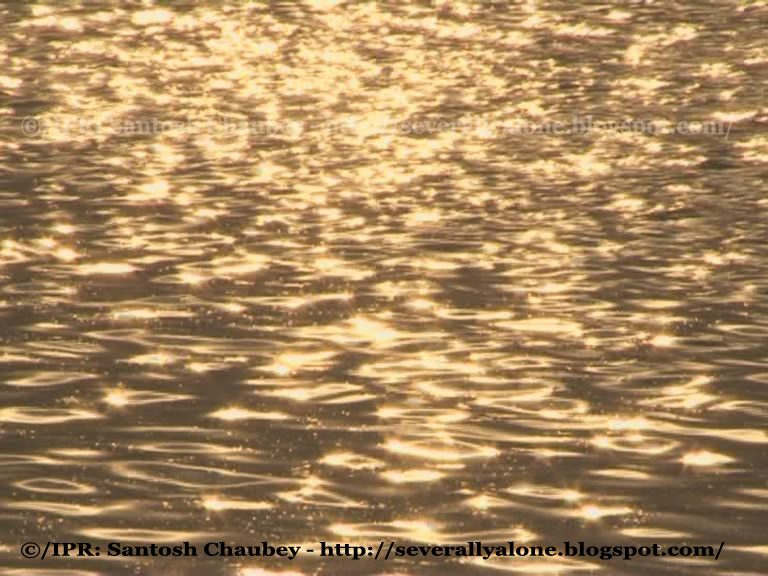 And capturing the reflection of the morning Sun rays falling on the Ganga water is just stunning. The reflection makes the Ganga water look like the flowing stream of molten Gold in a composition where countless golden beads play rhythmically along the flow of the nature. For the call that spiritual flow and cultural tradition of Banaras is - the mystical enigma, a city of paradoxes and a city of salvation – the questions that it answers – the questions that it asks – Banaras fascinates by its carefree lifestyle yet being the seat of eternal spiritual heritage – Banaras confuses by its lyrical spirituality yet practical reality of being a city of ancient wisdom in transition to assimilate the changes the time calls for – a transition that looks lost somewhere. ©/IPR: Unless otherwise mentioned, all content, every word and visual, is created by Santosh Chaubey who holds all intellectual property rights of this site. 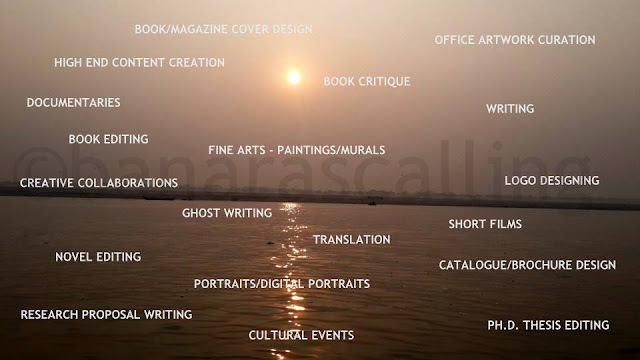 The views and ideas expressed and represented here solely belong to Santosh Chaubey, creator of this site. Any copying or republishing can only be done after written permission from the owner of the intellectual property rights.